Using a variety of methods, Israel imposes severe restrictions on Palestinian movement within and to and from the occupied territories. These policies cause serious hardships for millions of Palestinians, preventing them from getting to work, school, accessing medical care, visiting family and friends, and severely hampers the Palestinian economy. At the same time, Jewish settlers living on occupied Palestinian land in violation of international law and decades of official US policy are able to travel freely in much of the occupied West Bank and East Jerusalem, including on roads constructed exclusively for their use. Israel uses military checkpoints and other physical obstacles, including concrete blocks and piles of earth, to prevent Palestinians from moving freely within the occupied West Bank and to and from the outside world. According to the UN, in 2016 there were 572 Israeli checkpoints and other obstacles to Palestinian movement in the West Bank, an area smaller than Connecticut, with more than 100 more in the city of Hebron alone. The wall Israel is building on occupied Palestinian land in the West Bank and East Jerusalem, deemed illegal by the International Court of Justice, also prevents Palestinians from travelling freely. In many cases, it cuts Palestinians off from their farmland, and separates them from schools, houses of worship, workplaces, and family and friends. 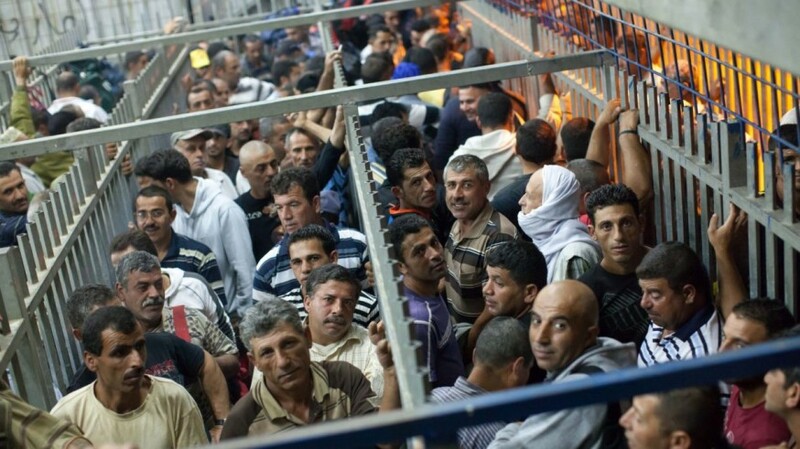 Israel prevents most Palestinians in the occupied West Bank from travelling to Gaza, and vice versa, even though they are supposed to be one territorial unit under the terms of the Oslo Accords . Most Palestinians in the occupied West Bank and Gaza are denied entry to occupied East Jerusalem to worship at their holy sites, visit family or friends, do business, study, or access medical treatment. 1994. Seventy percent of Gaza's 1.9 million people rely on humanitarian assistance." In addition to imposing onerous restrictions on the freedom of movement of Palestinians in the occupied territories, Israel prevents many Palestinians living in the diaspora the right to visit their homeland, including the holy city of Jerusalem, by denying them entry at the border. A majority of Palestinians live in the diaspora because Israel denies them their internationally-recognized legal right to return to their ancestral homeland. For further reference, see our recently released fact sheets, 50 Years of Israeli Military Rule ,Israeli Settlements & Settlers, Israel's Theft & Destruction of Palestinian Land & Homes, and The Legal Status of Jerusalem.